The problem of those unable to Love, or the question of hell as a reality. Let’s begin with some good news: The synchroblog is on again! Are we ready to face God? Are we ready to face God for all of eternity, with no part of us hidden? Are we ready to stand in the full light? If ‘heaven’ or ‘the new heaven and Earth’ is a place where the full Divine Presence is everywhere and no-one can escape it even if they try, will we feel at home there? Will we enjoy this? Are we ready to lose all of our sins, and be transformed to the person we were meant to be in God? The person who can stand in the full Presence of God? If not, there is a problem. A serious problem even. No shadow can survive the full Light. No junk that burns up can survive the Eternal fire, only precious metals. No person who wants hate and evil can enjoy a place where there’s only Love. Are we ready to feel at home in a place where all hate and sin and selfishness are not just absent but also impossible? Could we live in such a place? Could we enjoy such a place? Only Truth, Goodness and Beauty. Only Love, Light and perfect Justice. Are we ready to surrender to God and give up all other things? Heaven (whatever form it takes) will be no fun if we’re not completely aligned with Love. That’s exactly why Jesus sums up the whole law into the double commandment of loving God with all of our person and loving our fellow human as we love ourselves. That is not just a law to test us if we’re able to follow commandments. It’s a severe training to enable us to live with God in eternity. Our life here is not just a test to see if we can follow certain rules, as a Muslim once told me. We have to become a creature that lives with God in Love for eternity, following Christ and plugging our Lives in into the Divine Presence. Being redeemed and reformed and recreated into the Image of the perfect Lover. Which is a process as long as we’re here, but an extremely important one. And a very important factor here is our will. We might be failing people who fall into sin again and again, but if we do not at least have the will to Love, and to be able to completely discard all sin, evil, illusions and so on we will have no place in heaven. Certainly, whatever hell is, Jesus came to save us from it, to solve that and other problems, and not make it more complicated. 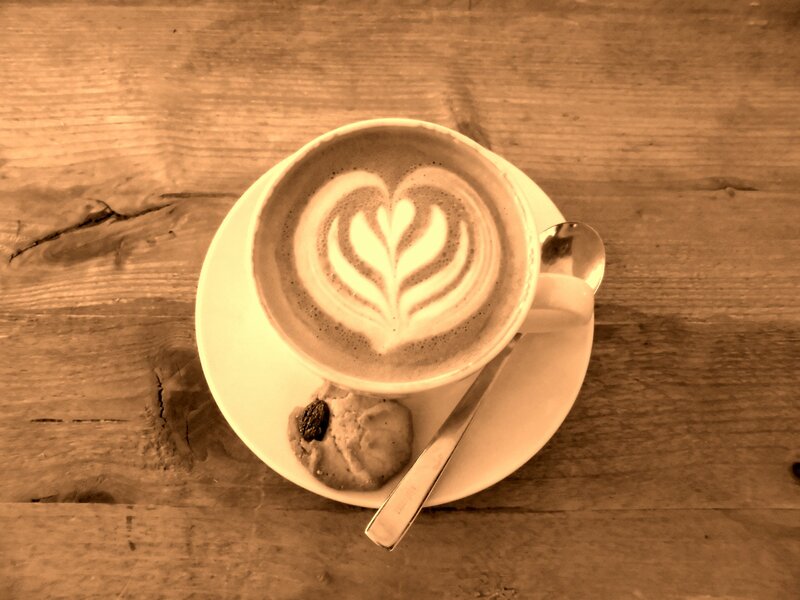 And Jesus came to show us how the core of life revolves around Love. Without love you’re nothing, even if you have the perfect religion, right doctrine, faith that moves mountains, and so on (1 Cor 1: 1-3). Without love we gain nothing, and all is lost. So what with those who are unable or unwilling to be transformed into a being aligned with Love? There are 2 possibilities, which are both terrifying if you think of the consequences..
First there is C.S. 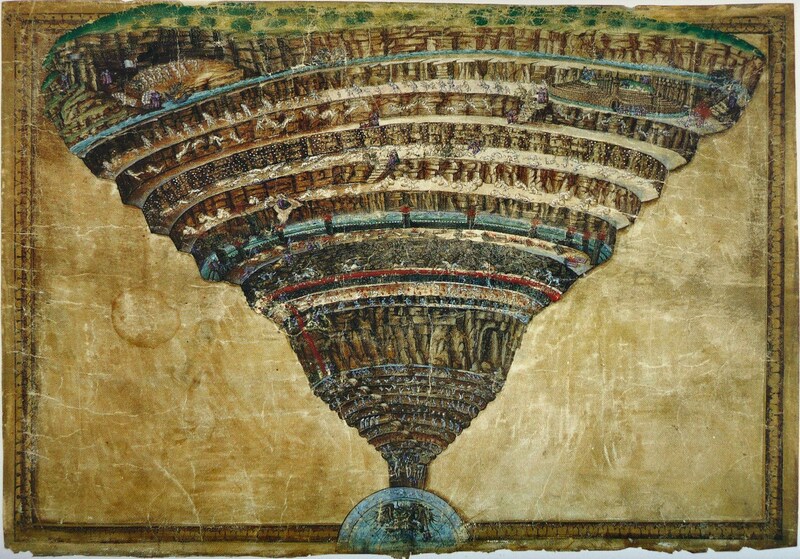 Lewis’ idea of hell as absence of God. Somewhere in his books he says that there are two kinds of people. Some will say ‘Your Kingdom come, Your will be done’ in the end, even with reluctance, and they will be the ones that will be with God for eternity. But others will refuse God, refuse Love, refuse Truth, and in the end God will say ‘your will be done, your kingdom come’, and leave them to their own will. The dwarves ‘who won’t the taken in’ in the last Narnia book are a good example of that. They create an illusion and shut out the Reality of the Land of Aslan. This is a hell, and one that’s locked from the inside. 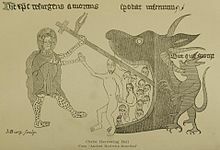 There is another related but opposite idea, coming from the Eastern Orthodox tradition, that I’ve already alluded to in this post, the idea of hell as Presence of God for those who hate God. The ‘lake of fire’ in revelation, which is seen as hell by a lot of Christians, is interpreted as Divine Presence. (See Alexandre Kalomiros, the river of fire). Sadhu Sundar Singh has described a very similar thing. Funny enough the picture at the end of C.S. Lewis’ ‘the great divorce’ which provided my metaphor of the shadow in full Light also points at this idea. So hell as a reality for those who are unable to be reconciled with God could work in both ways of completely being cut off from God who respects our free will, or experiencing the all-pervading Holy Presence . Both are terrifying. To me they both sound like they could end up in annihilation. IF God is the Creator and Sustainer, getting completely cut off from God will just result in non-existence. The same is true with the shadow in the full light. On the other hand, maybe God is able to reach people even in that state. Maybe the fire purifies. Maybe the love of God is able to reach everyone in the end. I pray that this could be possible, but knowing how humans are I fear for it. So I don’t know. But I trust Gods love. I trust that God blesses the good and the bad alike as Christ says in the sermon on the Mount. I trust that if God asks us to love our enemies that God will be able to do much more than that, and will do much more than that, since God is love. Keep me ignorant so I’ll stay out of hell? would universal reconciliation make the gospel worthless? On Easter the greatest mystery of the Christian religion is celebrated: the resurrection of Christ. Today I’m going to zoom in on the first witness of the Risen Jesus, who was a remarkable woman. 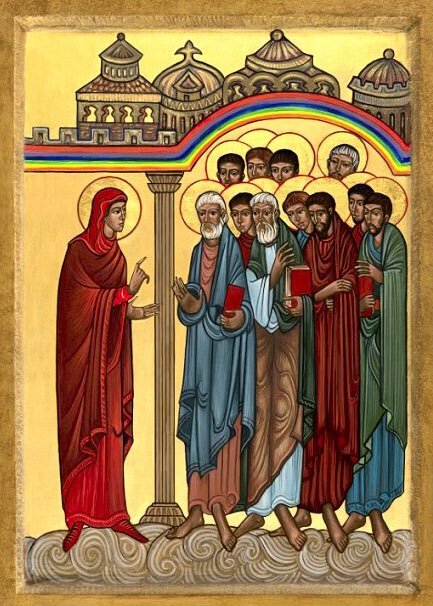 She was the first person to ever proclaim the resurrection, to an audience consisting of the 12 [male] apostles even. Yes, I’m talking about Mary Magdalene, who is a fascinating woman, even without all the extrabiblical additions to her story, which range from being Jesus’ wife or even secret lover to being a prostitute. What she clearly was though, if we read the canonical texts, is a devout follower of Jesus the rabbi, not something very common in her culture. Only men followed rabbis, except when Jesus thought otherwise. She also was clearly a woman who loved Jesus a lot. And she was chosen to be the first witness of one of the most significant moments of human history, the resurrection of the Incarnated Christ. The fact that she was the first to ever preach the resurrection gave her one of the most honourable titles possible to the ancients. They called her the apostle to the apostles. The Eastern Orthodox, who generally are much more conservative than protestants and Roman Catholics -they generally don’t care for any idea that’s newer than the ecumenical councils of the first millennium- still honour her with that title. 11 But Mary stood outside the tomb, crying. As she wept, she stooped down to look into the tomb. 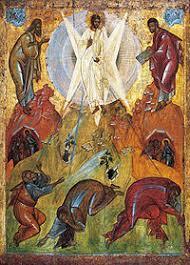 12 There she saw two angels, clothed in white, one at the head and one at the feet of where Jesus’ body had been lying. 14 As she said this she turned round, and saw Jesus standing there. She didn’t know it was Jesus. She guessed he must be the gardener. She turned and spoke in Aramaic. ‘Rabbouni!’ she said (which means ‘Teacher’). 18 Mary Magdalene went and told the disciples, ‘I’ve seen the master!’ and that he had said these things to her. On magic, miracles, and the differences between them. So, on the the 2 m-words in my title: Magic and Miracles are both not very popular with most moderns, at least outside of the realm fiction. As a believer in both (although I do certainly not at all believe in all things portrayed in fiction, it IS fiction after all…) I also see that there’s a lot of confusion about the two, as there is about all things that are dubbed ‘supernatural’ in a very ‘unsupernatural’ world as ours. So what is magic? I would define it as a manipulation of the invisible part of nature by humans to get a certain outcome. Magic is thus for the invisible world an exact equivalent of what science applied in technique is for the visible world. (I’ve written about that earlier, see also this and this post) The difference between both is that magic is not something most people in societies we know grow up with and thus learn, and that probably only a fraction of the people have a real talent for it. A second form of magic is invocation magic, in which the practicer calls upon other beings in the invisible realm to accomplish his goals. These beings can be very diverse, from natural spirits do djinn or demons, or even servitors that are called into existence by the magician itself. So what is a miracle, and where does it differ from magic? A miracle is something God (or in other religions other deities) does, often through a human vessel. So while it might be done with natural ‘energy’, it does ultimately come from God, and even though the miracle might be wanted by humans too, the idea comes from God, and it is done by God. I can’t claim to have seen and experienced that much miracles, but I can’t deny that there have been ways in which God acted to interrupt the normal in my life or lives around me. But I do have one thing in mind very recently, where God indeed started healing while I was praying, and while it probably looked a lot like ‘energy healing’, I myself as a not-so-magically-talented guy could in a normal situation not have produced that kind of healing energy at all, and the outcome was more than and different from than I had prayed for (much better). So while this ‘healing energy’ might be in a way a part of nature and work like that in some instances, it came from God this time, it did what God wanted. And I was just a clueless vessel, not knowing what I did (my prayer grew more clumsy when I started noticing that something WAS happening) or that I could have done at all. A last note that’s not unimportant here is that, for all the fear of ‘the occult’, some Christians who are well-acquainted with supernatural powers should better watch out more to not cross the line, and go from miracles to just performing magic. Like I said, some people do have more talent for such things (that others would call energy-healing for example) and if those people are Christians they will be attracted to more supernaturally-inclined churches (pentecostal/charismatic for example). Some Christians put so much pressure on ‘there can be miracles if you believe’ and ‘have more faith and you will move mountains’, and ‘name it and claim it’ that God disappears out of the picture. Have enough faith and your goals will be accomplished. And then we land in the terrain of the ‘prosperity gospel’. But all of this ‘have faith and you will accomplish your wishes’ stuff is very similar to very basis magic outside of Christianity. The projection of ones will as a power to get a certain outcome is very prevalent in a lot of occult systems. Think of the new age ideas of ‘the secret’ for example. Another example would be how the postmodern chaos magick has ‘the power of belief’ as a tool very foundational. Others have seen influences of ‘new thought’ (actually a more old-fashioned occult stream) in the prosperity gospel stuff long ago, so I don’t think I’m telling much new stuff here. Christians should watch out that they always keep centered on Christ. The ‘supernatural’ in itself does not have to be a sign of anything, even though we always find it very impressive here in this very ‘un-supernatural’ world. hristians are by definition pledged to Christ, and what makes them special goes beyond just ‘the supernatural’! It leads to the Creator through the Spirit and the Incarnate Christ. So what do you people think? Looking at my stats today I saw that my blog has been found 5 times today looking for ‘brambonius cools emerging’. Makes me wonder if anyone still uses the term ’emerging church’, and why people would bother finding out if I (using my internet nick) have something to do with it. I can’t deny that I’ve been following the ’emerging church dialogue’ (even if I was quite late to the discussion.) and that I have learned a lot from it. I am a postmodern evangelical after all, so I found in it the words to explain how I look at the world; On the other hand, I think I’m too post-modern and too evangelical (once a charismatic, always a supernaturalist…) to ever fall for modernist forms of christianity, be it either fundamentalism or liberalism. Thank you very much, both are completely inconceivable for me… So if you mean some kind of ‘liberalism 2.0’ I’m not your man. I’ve found out that I’m allergic to all forms of liberalism, from liberal theology to liberal humanism and oldschool liberal politics and economics (like the stuff they call ‘conservative’ in America). To satisfy the heresy-hunters even more some labels I could wear: I’m a Wesleyan anabaptist-inspired postmodern charismatic evangelical with both orthodox and organic church sympathies, inspired by Francis of Assisi, christian mysticism and apophatic theology, who thinks Christianity is a way of life restored in relationship to God than accepting all the right theologies. Love God, love your neighbor as yourself. In the end after the day of Judgment that’ll be all that’s left, with all evil and everything incompatible with God erased…. May the Spirit lead me and bring me to the right path… May God bring His Kingdom and reveal Christ to me more and more, so that I can follow Him! I know that Thou art greater than all our descriptions of Thee. before the wonder of Thee – the Inexpressible. and to give my heart to Thee fully. I do so, and I do so now. After the semantics it’s time to go to a problem that’s way more serious, and dig deeper in the message itself: It seems like Jeff Bethke makes his way of being a christian, and thus the gospel, antithetic to everything he denounces as ‘religion’ (which seems to be all that can go wrong with Christianity, and all he dislikes about some other christian groups) which makes the word ‘religion’ useless. I still do not know what Bethke’s definition is of religion, but it seems like his ‘religion’ is something really really bad nonetheless, and actually a very good scapegoat to dump all the problems of Christianity and the rest of the world on, sometimes leaping into ridiculous exaggerations. The above part is a good example. I disagree completely with some of his statements… Religion is not the infection. Or doesn’t he agree that God himself instituted the religion of the Jews? Which would be very strange for a bible-believing evangelical, like he seems to be. Okay, religion did get infected with a lot of bad things (just like the Christian religion) but the problem was not ‘religion’ but the things infecting it. It’s a very weird deduction actually… Will you get rid of your child when it has a disease? I know the “Religion is man searching for God, Christianity is God searching for man” theme, and there’s something to that, but still I don’t completely agree. It’s easy to say, but in the end the Jewish religion was also instituted by God when He, and not some evil people or delusional demons, but God Himself gave the laws to Moses! So I don’t see his logic why he can renounce and literally resent religion as a whole here, or proclaim Jesus and religion two different clans. And Jesus never abolished the laws, he fulfilled them, transcended them. But He surely never went denouncing them as evil. And religion-bashing is not the way to further the gospel. It almost looks like the problem of the new atheists. They see a problem with fundamentalist religion and so keep the fundamentalism and ditch the religion. The anti-religion rhetoric does put all the blame on whatever ‘religion’ is supposed to be and then declared Jesus something completely different. But there is something more that’s troubling in his approach. Now look at the above presentation of the gospel? What’s missing? Firstly, like more evangelicals tend to do, the resurrection is completely ignored for some weird reasons, as if a ‘good Friday only gospel’ will ever be complete. But let’s not go into that, and also skip the idea that ‘Jesus thought of me’ while on the cross for now… And how he sees the ‘it’ that has been finished at the cross as ‘religion’ is beyond me. But now we come to probably the weak point of common ‘born-again theology’. We are born-again because our sins (or the punishment for it) have been taken away by Jesus on the cross and now it’s all finished…. But that’s just the beginning. We have a whole life of growth before us. Being a spiritual baby alone is not enough. It’s even quite risky, babies are vulnerable beings that cannot survive without aid from others, and that are meant to grow into adulthood. (so they can make babies themselves, spiritually I mean) We are saved, and we are being saved, the bible used both, and they must be in tension. Salvation is not one moment, but an ongoing process that will never be perfected in this life, and something we have to bring to the world around us. Jesus didn’t finish all things at the cross, he started them. The resurrection was the beginning of the New heaven and earth. We are not just reconciled to God, but called out to proclaim the Kingdom of God ourselves. We gain a whole new life in Him, we are called to follow Him and further that Life in this fallen world. Which means action and a changed life, and the word ‘relationship’ implies that too. And this is the last big problem with the ‘relationship with Jesus’ idea, which is actually quite troubling if you think about it. Sarah Moon has pointed to it in her excellent blog post. The view on relationships one would derive from this theology would be a very defunct one. Firstly nothing at all is said about what the relationship with Christ means in the poem, so we have to read between the lines if we want to know what he means. The hints in the beginning where he describes what religion is not are not that bad, but there’s no connection at all to the main dish, which is the atonement theory in the end, that seems to trump all, and doesn’t even try to say what our part is. Relationships are about action, not just desire. That action will look different in every relationship, just as different people approach religion in different ways. But if I “love me some Jesus,” then I’m going to do things for Jesus. I’m going to love the people that Jesus loves. I’m going to help him accomplish his task of redeeming a hurting, broken world. I’m going to embrace rituals and ceremonies and organizations that bring me closer to him and that provide an outlet for me to love his people. This “love for Jesus” that so many evangelical churches support seems like the immature love of a 13-year-old girl scribbling on a bathroom wall a heart and the name of her crush. I’m tired of settling for that shallow, intangible, romantic emotion of being in love with Jesus. Let’s get off our asses and love.